Light at last. After days of darkness and jostling in a cardboard sarcophagus, I was free again. Oh times, oh manners. Isn’t this the age of aeroplanes and first class flights? If this is how people treat honored guests, I don’t want to know how they treat their enemies. I am Thor, the God of Thunder. This time my world tour had brought me to Finland, the land of the fabled weather witches. If you haven’t been following my journey, the stories of the previous stops are really worth reading. My gracious hostess was Reetta (what a tongue twister of a name), her husband and two children. After polite greetings, I inquired if they had anyone named Barbie living in the house. 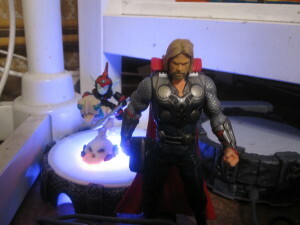 To my relief, wanna-be Mrs. Thor had no relations here. Dinner went well. Remembering the human ways of asking for another filling, I refrained from smashing any mugs and plates. Dessert was a do-it-yourself thing. We baked gingerbreads. Even a god can experience new things. Piglets, bears and various feminine shapes demanded a manly counterpart. Hammertime. I haven’t done much crafting since divine pre-school. It was actually really fun. And this wasn’t the last of it. Father’s Day was coming and the children made cards for their daddy dear. I have to say, I’m not very pleased with my old man for sending me on this earthly humble pie journey but you have to respect yer elders. So here you go All-Father. This Reetta woman had a strange gleam in her eyes when she told me that she wasn’t going to take me to work with her. I heard some muttering of “mine, all mine.” Scary. After frolicking outside in the snow, I discovered the Portal. Utterly fascinating, a whole new dimension I had never heard of. 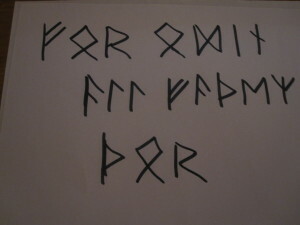 It wasn’t any of the Nine Realms, that’s for sure. I was guided in the art of Playstation by a friendly giantess named Ninjini. I have been known to have a soft spot for exotic ladies but I swear I stayed true to Mum, err, Debra. The day passed in a whirl of new found digital addiction. When the children got home, they demanded their game back. Selfish brats. Lets just say that put me into a mood. 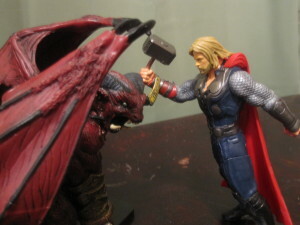 Luckily there was a worthy target for my wrath, Orcus, a demon prince and Lord of the Undead. Pretty fancy title, huh? The little spoilsports had to foil that too. No fighting?! How in Hel do these humans have fun? The humiliation. Bested by two little brats. 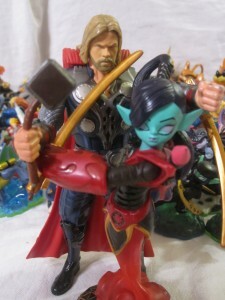 I, Thor, who have not been bested by anyone but crone Elli, the Old Age herself. And well, Lara. And Sheila. And the previous human child…. But who’s counting. This globe tour better be worth the throne of Asgard. I just can’t take it anymore in this household. Farewell Finland, it’s been an experience. The first available plane flies to Malta… I sense an adventure waiting. But alas, so we won’t part in too somber mood, lets end it with a song. And this video made me like children again. Now I want to hear from you. 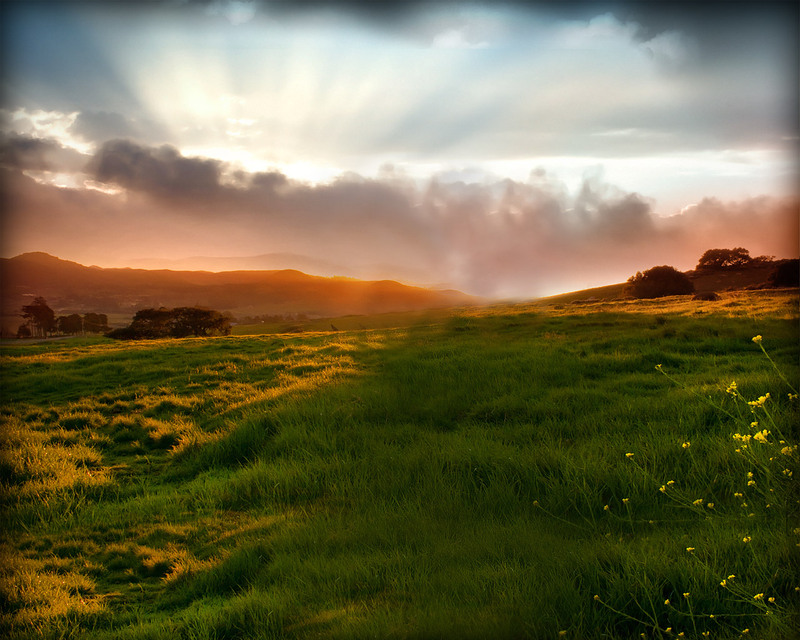 If Thor came to visit you, what would you show him? And do you have a favorite superhero? Hey Reetta! Sorry I’m late. Love the cookies. Oh, and Ninjini. She’s one of my daughter’s favorites. 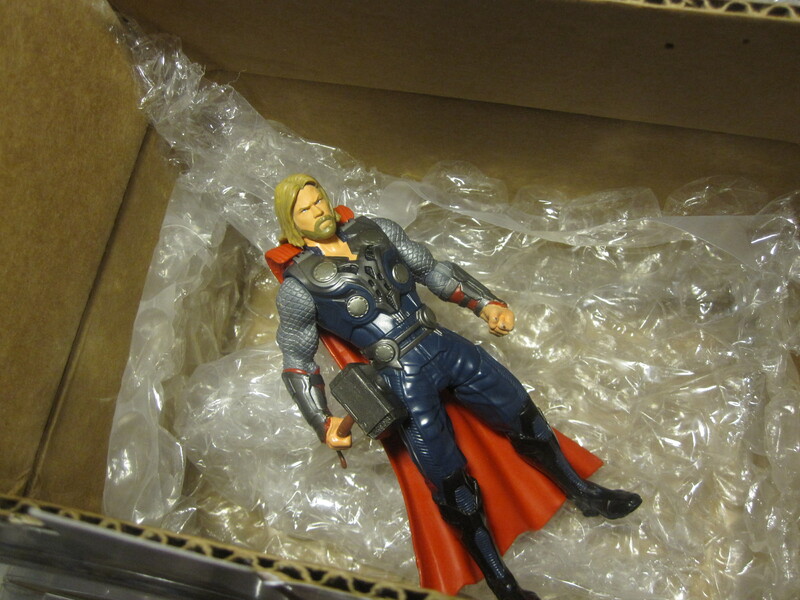 Thor didn’t try…well, you know, did he? He can be such the ladies’ man. Must feel good to be free of the responsibility. You’re pretty lucky you got him out before he destroyed your holiday decorations. Hehe. Thanks so much for hosting him. 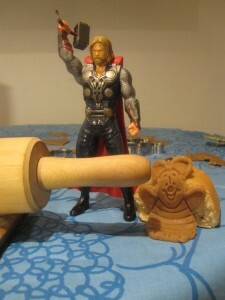 Thor and I are ever so grateful. Reeta, this was superb. “Earthly humble pie journey” — LOL! Spoken like a true god/super hero. Love it, Reetta! Too funny. I love how so many of Thor’s hosts and hostesses have written their updates about his journey in his voice. 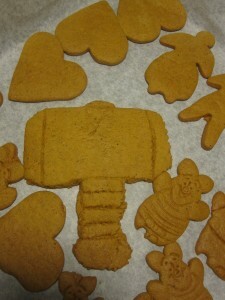 And the hammer cookie is great!! Looks like Thor’s adventures in Finland were about as exciting as his adventures in Northern California. At least he laid off the booze at your place. Patricia recently posted..December Hodgepodge – What Haven’t I?